Tri-Color Fruit Ice Pops are so colorful fresh summer treat. Summers have brought so much heat this July, all we want is something to cool down. 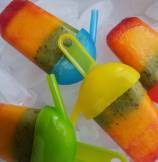 Last weekend I blended some fresh fruits with Agave syrup to create these cold sweet fruit pops. Well, yes you heard it, whole ideas is to avoid heavy Ice Cream calories. 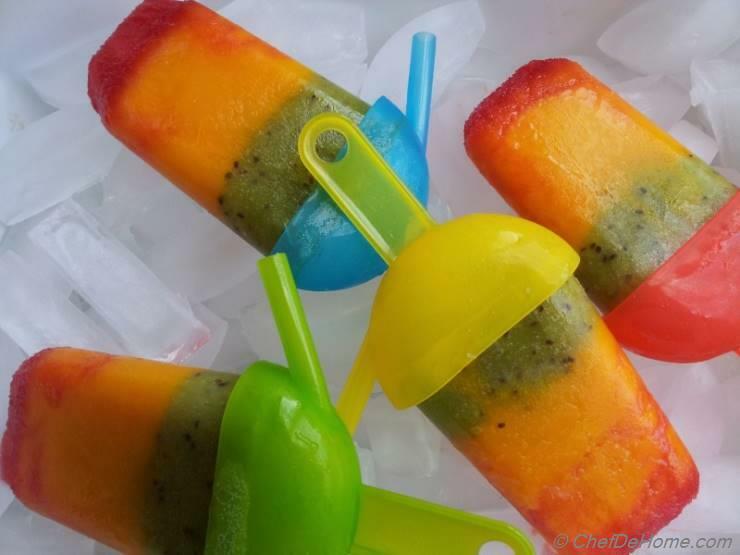 So when you crave for something nice, sweet and cold in scorching heat, try my easy breeze Tri-color Fruit Ice Pops and enjoy summer. Happy 4th of July. 1. Mix Strawberry puree with 1 tbsp. of Agave Syrup. Divide it equally among 8 Ice Pop molds. Let it set in freezer for 15 minutes. 2. Mix Mango puree with 1 tbsp. of Agave Syrup. Divide it equally among 8 Ice Pop molds. Let it set in freezer for 15 minutes. 3. 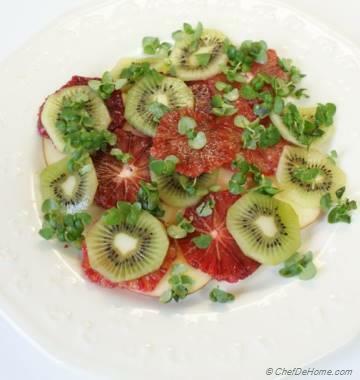 Mix Kiwi puree with 1 tbsp. of Agave Syrup. Divide it equally among 8 Ice Pop molds. Insert Ice Pop sticks and freeze for 1 hr before serving. 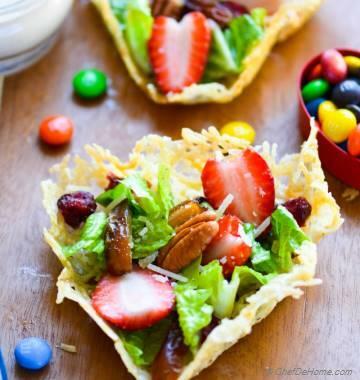 Enjoy this cool treat with Kids this summer and celebrate 4th of July. If first layer is not set before adding second layer, the pops will have swirls of tri-color like I have in my photos. 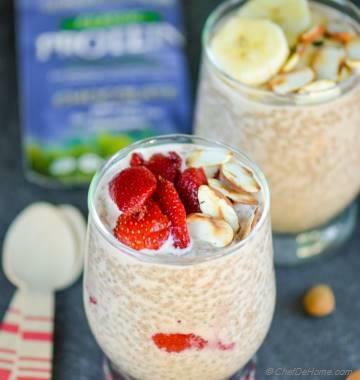 My family loves Mango and Kiwis, so I have used less of strawberries and more of mango and Kiwi ratio, you can use 1 cup strawberries puree instead of 1/2 cup to have more even layers.